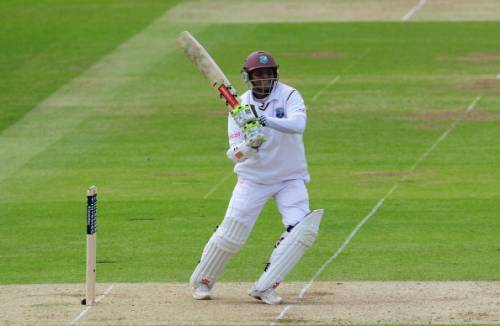 Chanderpaul’s wide open stance made him look unorthodox at the crease. Recently-retired West Indies batting star Shivnarine Chanderpaul has advised young batsmen not to imitate his batting stance although it served him well throughout a stellar career. For most of his 22-years in international cricket, the Guyanese left-hander eschewed the traditional side-on stance in favour of a more unconventional open one which angled towards mid-off, a move he said helped with his balance at the crease, reports CMC. "It's not something young players around should imitate. It is very difficult and has got a lot to do with what I did," Chanderpaul said in Dubai, where he is playing in the Masters Champions League, on Wednesday. "I think you should be more side on. I was trying to balance but was falling over a lot in the beginning. Hence, I opened up a little bit to find balance." "Younger generation should stand side on. It was something I practiced and that helped me with my balance which was good for me over the years." Despite his unusual approach, Chanderpaul compiled 11,867 runs from 164 Tests and an average of 51. He finished his career only behind Brian Lara (11,953) on the all-time West Indies list. While never assuming the dashing approach of stroke-makers like Chris Gayle or Brian Lara, Chanderpaul still managed to be effective but said his role in the West Indies side was always to hold the innings together. "Maybe they are more flashy batters. I was not one of those. I try to bat as long as I can and make sure my team is in a good position," the 41-year-old said. "I always batted under pressure and put the team together. There was always a difficult job for me and there was a lot of pressure." Chanderpaul quit international cricket last week after being axed from the Test squad last May.